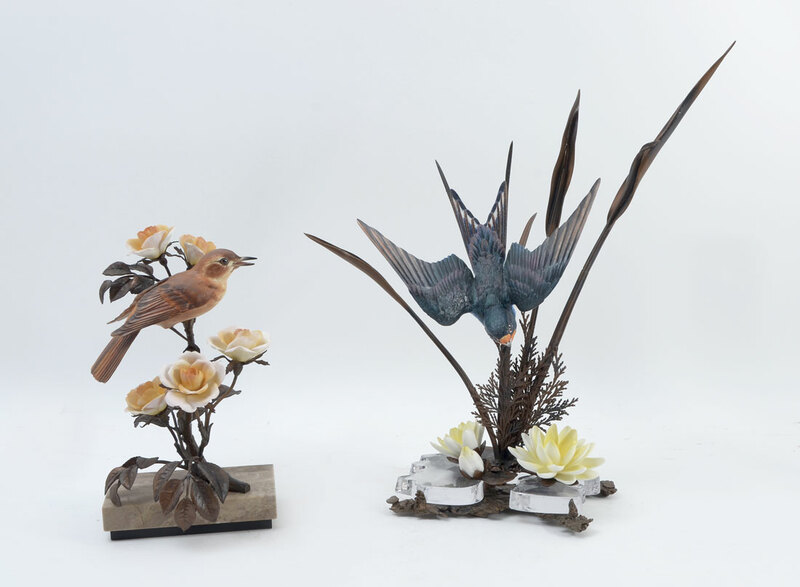 WORCESTER AND ALBANY BRONZE & PORCELAIN BIRDS: 2 pieces total to include 1) Royal Worcester porcelain bird diving to lucite water with water lilies and bronze cattails. 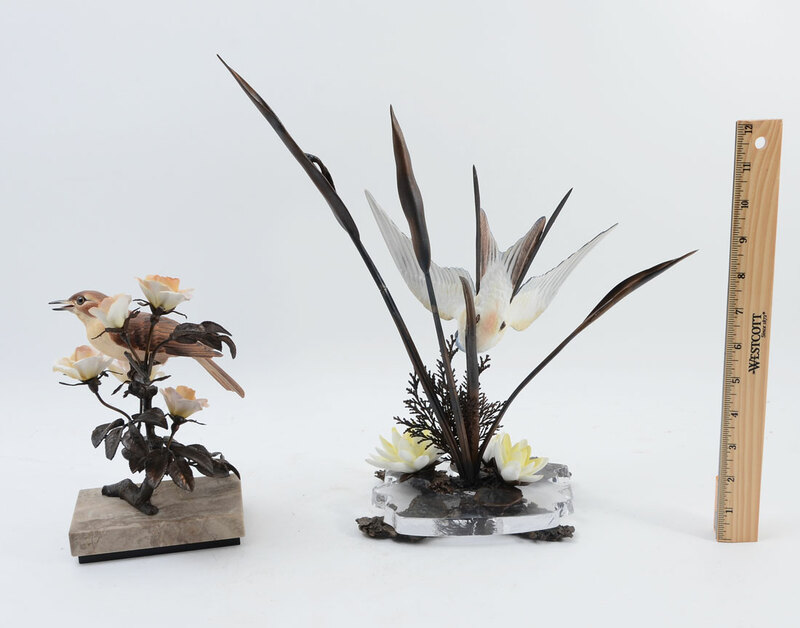 14 1/2'' h. x 14'' x 6''. 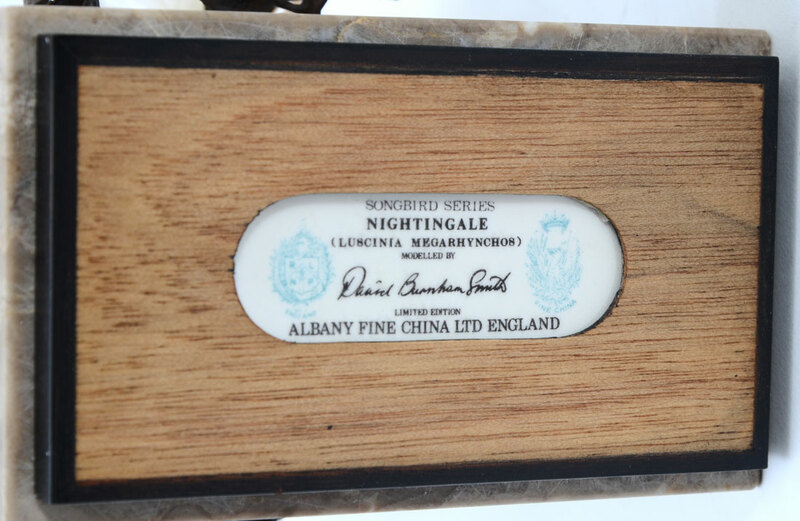 2) Albany Fine China porcelain Nightingale on bronze branch with porcelain roses, marble base. Designed by David Burnham Smith. 9'' h.
CONDITION: No condition issues noted, no boxes.